Motown’s biggest-selling and highest-profile male group of the 1960s, the Temptations were formed in 1961 from two rival doo-wop groups, the Primes and the Distants, both filled with deep-fried Southerners whose families had relocated to Detroit. 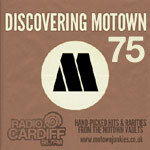 Initial Motown records met with little success until the appointment of Smokey Robinson as the group’s writer-producer, and the recruitment of another Southerner, David Ruffin, as a third lead singer in 1964, after which the group began to rack up significant hits, including some of Motown’s best-loved singles. Ruffin left the group in 1968, which for many fans signalled the end of their classic period; under the tutelage of writer-producer Norman Whitfield the group then moved into a harder-edged, funk-influenced “psychedelic soul” direction, featuring socially-conscious lyrical themes and lengthy instrumental passages. The new approach polarised audiences, but still won critical plaudits and scored big hits in the late Sixties and early Seventies. Having gone through several line-up changes, the group continues today under the guidance of original member Otis Williams. Help! The link to the 28 Temptations’ items goes to the Dee Mullins page. I think that the most underrated Temptation lead singer was Theo Peoples. The has one of the best voices in R&B, and sang lead on the only Multi Platinum, Grammy nominated CD that the Temps have had in over 30 years. I agree. It was quite awhile before I learned that it was Theo who sang lead on “Stay” Second to Theo in being overlooked, OLLIE!